Professor Cope has worked with the Law School Clinical Programs since the Spring Semester of 2007. Since joining the Clinical Programs, she has worked with the Domestic Violence Clinic, Child Advocacy Clinic, Housing Clinic. Since the Spring of 2013, Professor Cope has Co-directed the Transactional Law Clinic. During the 2016-2017 and 2017-2018 academic years, Professor cope served as the Interim Associate Dean of Student Services. 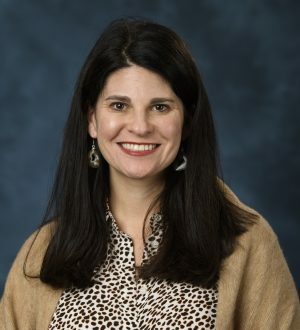 Professor Cope graduated from the University of Tennessee, Knoxville with a Bachelor’s Degree in Psychology, and from the University of Memphis with a Master’s Degree in Community Agency Counseling. After completing her Master’s degree, she worked at the Memphis and Shelby County Juvenile Court as a Counselor for several years. Professor Cope left the Court to become the Program Director at the M. K. Gandhi Institute for Nonviolence at Christian Brothers University where she worked for a couple of years before teaching in the Shelby County School System. After teaching for five years, Professor Cope attended the University of Mississippi School of Law where she earned a Juris Doctorate.